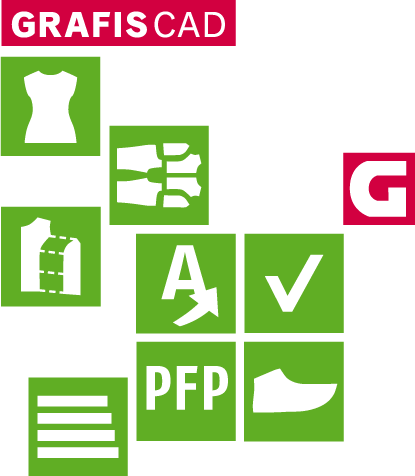 With GRAFIS CAD Shoe Construction you have the possibility to generate patterns based on lasts according to the construction principle. 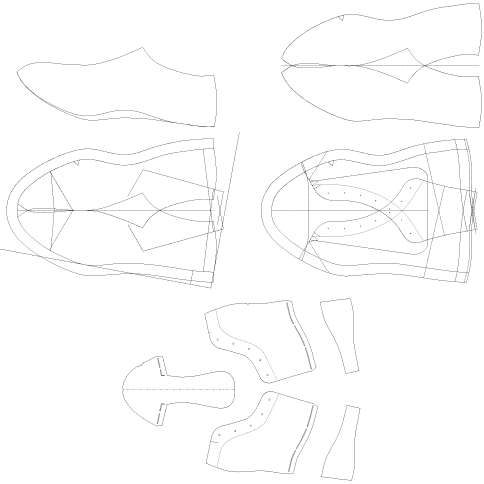 Grading a ready-to-wear shoe in GRAFIS is a combination of proportional increase of the upper basis and the subsequent style development. The special feature of GRAFIS is that the construction steps are recorded during style development and are then automatically re-processed when grading other sizes. Influencing grading through size-dependent adjustments of individual parameters is also envisaged. Grading groups can thus be created and implemented quickly and efficiently in this way. Furthermore, GRAFIS offers you the possibility of building your styles based on interactive upper constructions. These interactive upper constructions can be adjusted interactively or via value entry. They offer a multitude of possibilities for style modification and fit optimisation. For made-to-measure shoes and in particular orthopaedic shoes GRAFIS offers special functions, as the upper constructions can easily be adjusted to individual lasts and asymmetric foot shapes. Subsequent corrections or modifications of the style development are possible at all times via the adjustment of parameters. Each style can be adjusted for a specific customer. This relates to the fit as well as to the styling. GRAFIS automatically creates interdependencies between your pattern pieces. A modification of the development part automatically leads to adjustment of the dependent pattern pieces. Therefore, no undesirable differences in seam lengths occur. The interdependence also offers you an effective and fast creation of style variations. For data exchange with a number of other CAD systems, the import and export interfaces integrated in GRAFIS are at your disposal, ensuring that you can work with production sites or freelancers without any problems and generate DXF files for cutting systems.